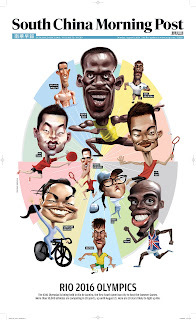 Poster of ten of the top gold medal contenders for this year's Olympics for my old paper the South China Morning Post. I swore when I left I'd never set foot in that place again. And I haven't .. I did the caricatures from home. Grateful for the work but it was a good reminder of why I left that place. 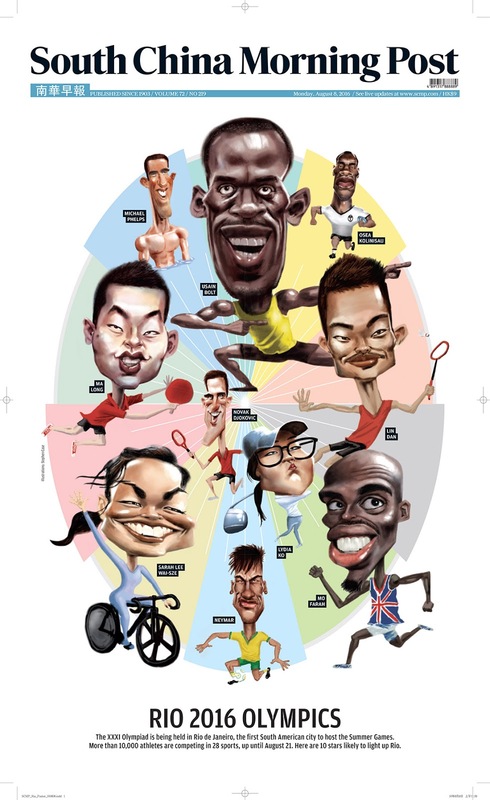 Without getting into it, let's just say this is a precursor poster for the games. The poster came out today while the games started last Saturday. Really?